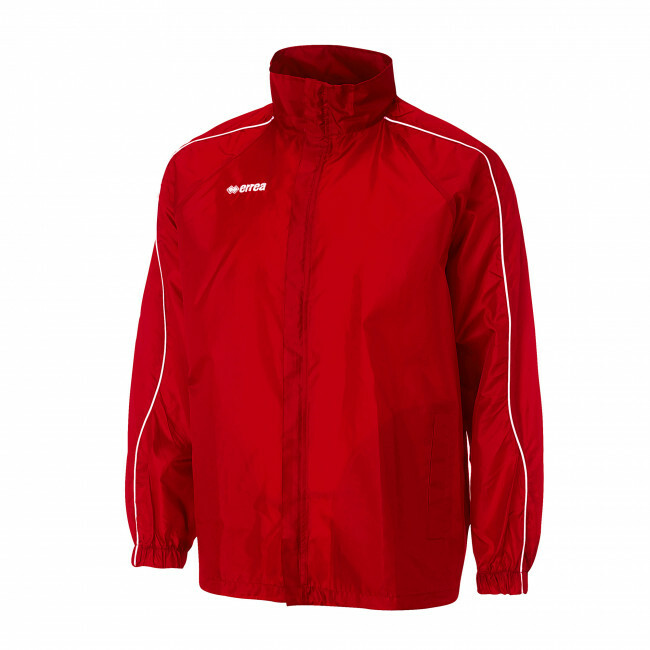 Unisex full-zip rain jacket for adults (men and women). Hidden hood with Velcro-closure pocket on the back of the collar. Mesh lining. Elasticated long-sleeve cuff. Contrasting polyester piping. Available in 9 different colours, which include 2 fluorescent colours. External front pockets. Zipper covering flap. Undersleeve in breathable mesh fabric. Jacket waistband with draw string. Shaped on the back (slightly longer).